which led to slavery being abolished in four years. Oops. the problem is this will be viewed as an intolerant expression of hostility. it is saying that southerners have no right to their historical perspective. this is but one of many attempts to shame them into contriteness for events they themselves never played or took any living part in. this is the pettiness of attributing the actions of their ancestors to them and as such is intolerant and hateful. attributing social injustice and poverty to confederate statuary is brainless and stupid. Southerners are the ones taking the statues down. You're all wet yet again. 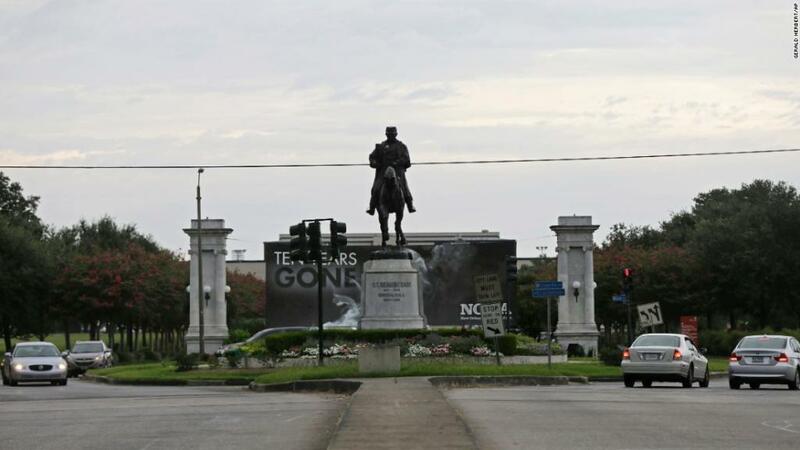 In New Orleans the City Council voted, 6 to 1, to take the monuments down. These are elected officials. Therefore they can be voted out of office if the majority of citizens in NO disagree with their vote. I heard yesterday on the PBS that it was musician Wynton Marsalis that got this whole thing started in New Orleans. In another southern city, Charlottesville, Virginia, Richard Spencer, the young Guru of the alt-right white nationalist, white supremacist movement, led a torch light parade in front of that City's Robert E Lee statue. Observers said it reminded them of the burning Ku Klux Klan crosses during the domestic terrorism of the Southern Jim Crow era. then wynton marsalis could perhaps explain how the removal of confederate statuary will impact in the lives of african-americans in places like chicago? this is what Rush Limbaugh has always meant by symbolism over substance. it doan help nobody but perhaps narcissistic celebs like marsalis. it makes him feel real good but what good does it really do anybody in the real world??? it is in truth worthless ego-driven sheet by self-important brainless celebs who refuse to see the whole picture beyond their pathetic chip on the shoulder hostilities. now tell me I'm wrong. I got no personal stake in the removal of confederate statuary. I'm a yankee. it has an impact on the lives of African-Americans in Chicago. Again, in New Orleans the City Council voted to remove the monuments. They are the only ones to blame or praise depending on one's POV. Celebs did NOT get a vote!!!!!!! I do agree that only the locals should decide if these monuments stay or go BUT that is what happened here! New Orleans mayor's legacy may be more about what he took down (Confederate monuments), than what he built. It takes courage to do what he did, even though it was the right thing to do. When I think of all the decades that black people had to put up with segregation and Jim Crow--it's just amazing. How long that took for someone to have the courage to just refuse to cooperate and then for someone else and many groups of people to have the foresight and vision to turn that into a national movement. Just because things have been that way for even a hundred years or more, that's no reason to keep them that way if people are being persecuted, terrorized and humiliated. Perpetuating tradition or any kind of cultural heritage that is retro and negative is not a good thing. If I can recall correctly in President Kennedy's inaugural address, he used the old Chinese adage that the first step in a long journey is the hardest step. Now we see that the white nationalists who have come out in Charlottesville Virginia and Alabama are trying to fight the trend. But as this becomes truly an American movement for long overdue Justice, Fairness and a lesson in reality, nothing will get in its way. Looks like Oliver is such a racist he can't understand how using the term 'lynched' could be offensive. Anyhow, Louisiana leaders can be recalled or not re-elected in a future election, if the majority of voters disagree with the removal of the monuments (but since the New Orleans City Council voted 6 - 1 for removal, one has to assume they are not worried about voter disapproval). 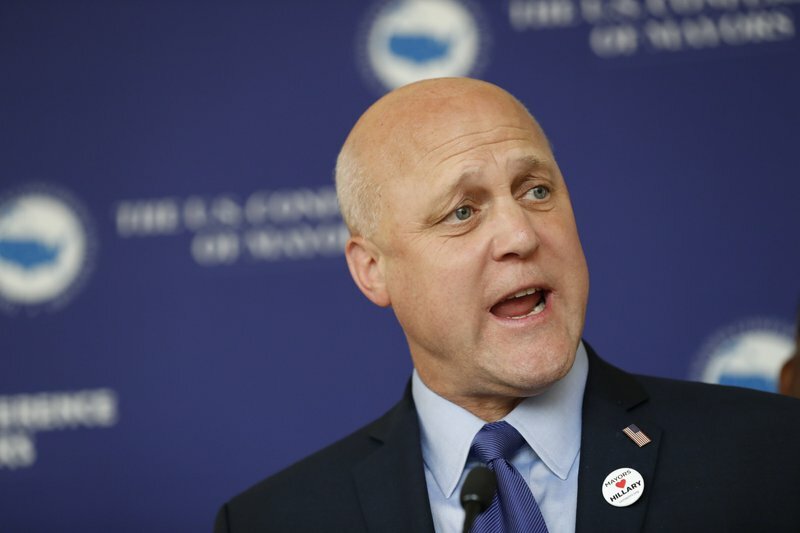 Please read this profound speech by Mayor of New Orleans, Mitch Landrieu re: the removal of confederate monuments. Wynton Marsalis isn't just some celebrity. He's one of the most influential modern jazz musicians and a New Orleans native. He's likely much more of an authority on the subject than Rush Limbaugh. And not only were the Mayor's words well chosen and filled with insight, but after reading them I also took a few minutes to read many of the comments posted by others in response to his at that website you linked here, jakeem. And, I was pleasantly surprised to discover that evidently there ARE still a few Americans who can discuss "hot button issues" such as this in an intelligent and adult manner. I know, SHOCKING isn't it?! Sorry, but Marsalis is just another celebrity. His opinion is just another opinion. No one is an authority on this subject. No one. It should be up to the local VOTERS, and only them, what happens to these so called monuments (which is what occurred in New Orleans). So, in essence you're saying Wynton is just "blowing his own horn" here, eh James?! Hmmmm...so, "it should be up to the local voters" ya say, eh?! Well, with an attitude like THAT, I suppose if you ever find yourself in the state of Mississippi, YOUR chances of being "lynched" by some good ol' southern boy who still believes in that whole "Lost but Just Cause of the Confederacy" crap, and be they a state Representative or not, would be greatly diminished, wouldn't they?! As a citizen and civic leader (he earned that title with his post-Katrina work to rebuild the city), Marsalis has every right to voice his opinion, and given his celebrity status, that opinion may or may not garner more attention than John Q. Public. He's as much an authority as any other citizen who has the right to voice his thoughts on what's going on in his city, parish and state. And I guarantee you he has more authority on the matter than Rush Limbaugh, who is not a citizen of New Orleans or Louisiana. Where did anyone say that voters shouldn't have the final say in the matter? Seems you're refuting an argument no one has made. how does feeding those hostilities translate into a lessening of racial divisiveness? it does not. it has the opposite effect! the democrats have had 50 bleeping years to figure that out but insist on remaining willfully clueless.